Harriet Louisa Beresford was the daughter of Reverend Charles Cobbe Beresford and Amelia Montgomery. She married Reverend John James Fox, son of Richard Fox and Lady Anne Maxwell, on 15 February 1825. She died on 24 September 1871. Her married name became Fox. From 7 August 1778, her married name became Clements. [S21] L. G. Pine, The New Extinct Peerage 1884-1971: Containing Extinct, Abeyant, Dormant and Suspended Peerages With Genealogies and Arms (London, U.K.: Heraldry Today, 1972), page 176. Hereinafter cited as The New Extinct Peerage. She was also known as Anne Constantia Beresford. From 1790, her married name became Uniacke. From 2 July 1805, her married name became Doyne. Jane Beresford was the daughter of Rt. Hon. John de la Poer Beresford and Anne Constantia de Ligondes.2 She married Rt. Hon. Sir George Fitzgerald Hill, 2nd Bt., son of Sir Hugh Hill, 1st Bt. and Hannah McClintock, on 10 September 1788.1 She died on 2 November 1836 at TrinidadG. Rt. Hon. Sir George Fitzgerald Hill, 2nd Bt. James Hamilton Beresford was born on 18 February 1782. He was the son of Rt. Hon. John de la Poer Beresford and Barbara Montgomery. He died on 7 December 1806 at age 24, accidentally drowned on board H.M.S. Phoenix. Henry Barré Beresford was born on 25 September 1784. He was the son of Rt. Hon. John de la Poer Beresford and Barbara Montgomery. 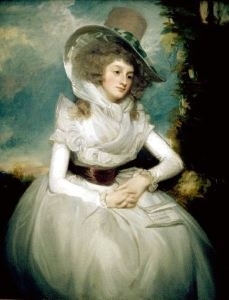 He married Eliza Baily, daughter of John Baily, on 29 February 1812. He died on 15 December 1837 at age 53.